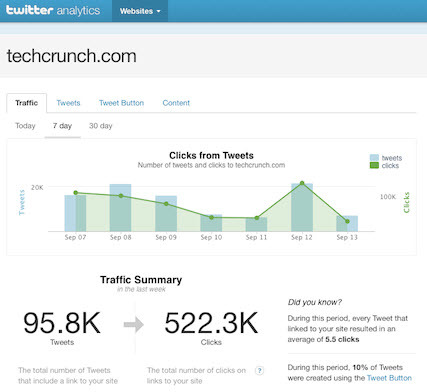 What are the best free tools for analyzing a Twitter profile? During a social media audit I like to run a company’s Twitter profiles through some basic analysis tools to set benchmarks and compare them to competitors. 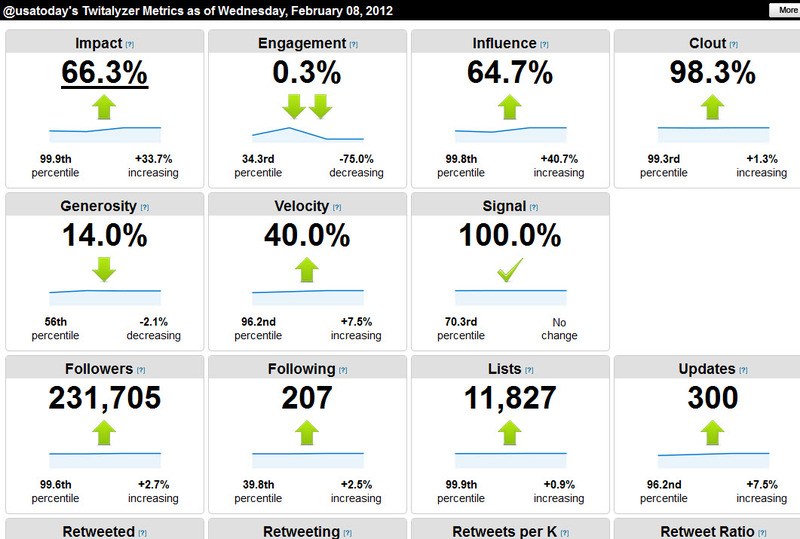 I got good response to my post on Facebook analytics tools so I thought I’d do something similar for Twitter. But this time I’m going to highlight free tools that anyone can use. I’m focusing specifically on profile analysis as opposed to Twitter tools for other purposes. 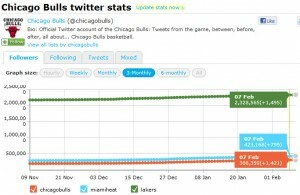 For a list of trend tools see the Twitter section in Free Tools for Monitoring Hot Search Trends. Twitter tools frequently come and go, especially the free ones, so a list like this is always evolving. But here is a small collection of tools that I like to use. The data is fairly basic; the publishers we work with that already have access have not found it particularly useful yet. But it is always good to get data straight from the source and the toolset will continue to evolve. 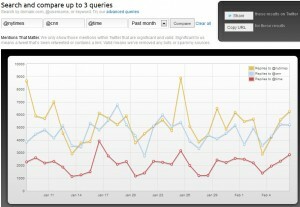 In addition you can track links to a domain or mentions of a particular keyword. 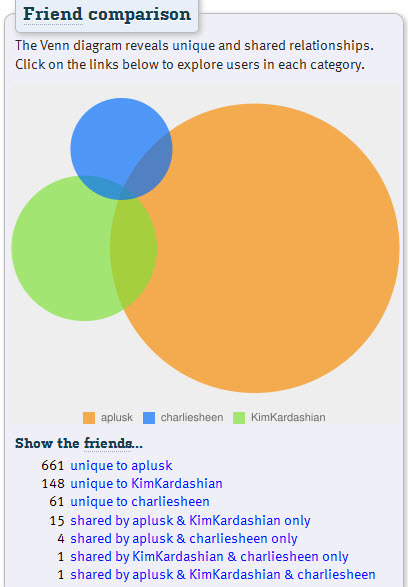 Topsy also provides data on the top links in the past 24 hours for each profile. I like to see how a profile is stacking up against its competitors in terms of overall growth. It takes a little while for it to compile the data but it’s worth the wait. 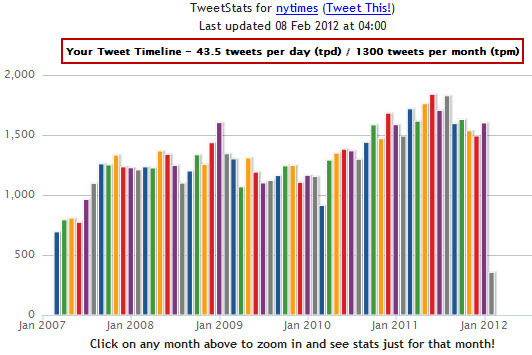 I like to check the average tweets per day, particularly against the competitive set. There is no ideal range for tweet volume as every profile has to find the right mix of frequency, timing, content and style that makes sense for its user base. But you can get a basic idea of whether or not there may be opportunities for adjustment. 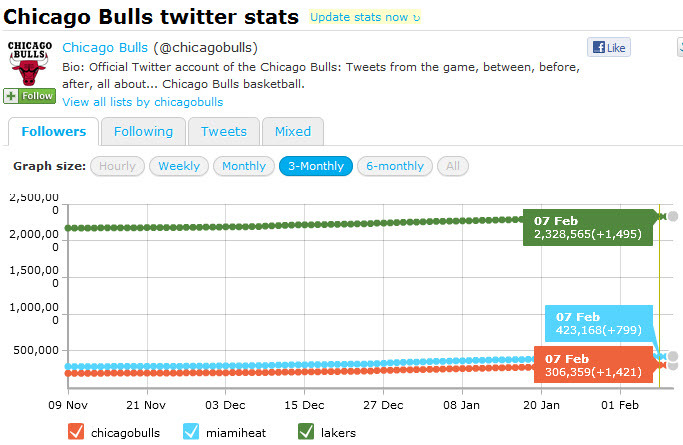 In addition to providing the numbers in aggregate it allows you to see the follower change after each individual tweet. UPDATE: Unfortunately TweetEffect has been discontinued. Followerwonk provides similar data. Basic use of the tool is free but larger requests require the purchase of credits. Keep in mind that larger profiles tend to trigger the credit requirement fairly easily. UPDATE: Followerwonk was acquired by SEOmoz. SEOmoz PRO users can now access the full features through their account. I had some fun with it for my post on head-to-head Twitter matchups in the NBA playoffs. 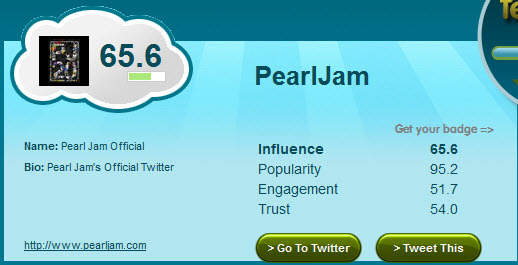 Klout has a pretty big head start but Kred is positioning itself to become another popular option in this area. I’m not sure how many people will have the need for its curse word frequency charts but that’s kind of fun too. 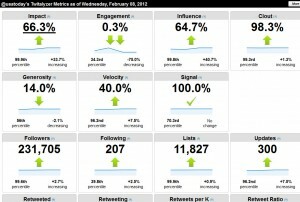 So that’s a quick overview of some of the free Twitter analytics tools that I like. Nice! I wasn’t aware of some these tools, and I like me some free stuff. I like how you let your readers know exactly how many posts to expect in a week. I wonder if this keeps you from having the reader drop off that is usually associated with sparse postings. Re: post frequency, posting only once a week (and sometimes once every couple weeks) does make it more difficult to keep momentum going and maintain a regular readership. So hopefully that notice in the sidebar helps to set expectations. I do this blog just for the fun of it, but it’s certainly nice when posts get some traction and engagement. I’m sure, but like I preach at my site, content takes center stage and makes up for a lot of things. Good post, and I followed you on Twitter. Nice list Adam. I just launched a Twitter statistics website with some fun and unique metrics. If you could add it to your list I would really appreciate it. You can check it out at http://www.wordcurl.com. Thanks Brett. The wordCURL charts look good, nice job. Please check also recently lanched twtGear (www.twtgear.com). Simple free tool, yet powerful insights. These include your Most Engaged Followers, Top Tweets by Responses, and Trends in your Audience, Activity and Visibility. And more to come soon. Adam and others, please have a look and let us know what you think. Thanks a lot Adam I appreciate it! Hello, I’m looking at the first five weeks of Occupy Wall Street (from September 17th-October 23rd, specifically) and seeing how news mediums differed qualitatively and quantitatively within that time period. I’m wondering if anyone could find a twitter analytics tool in which I could find data such as: to what extent #ows or #occupywallstreet trended within the first 5 week, how much outreach there was in that time frame, etc. 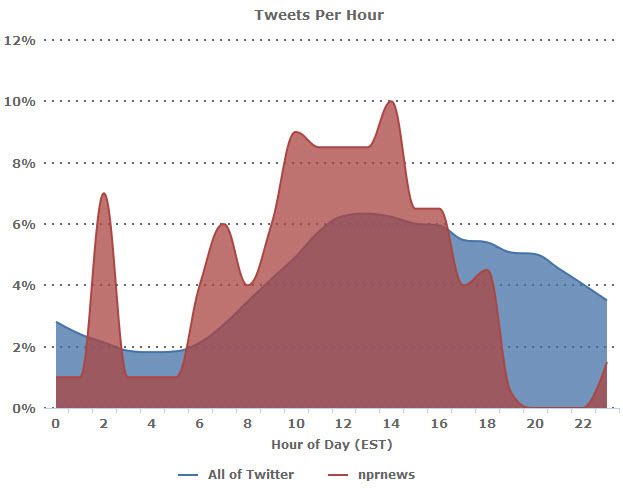 I know there are a lot of twitter analytics tools out there, but I can’t find any that are for a fragmented time period. The tool doesn’t have to be free either- my school will pay up to $200. Tim – unfortunately I missed your question when you original posted it, sorry about that. Hopefully you found what you were looking for but I wanted to reply now just in case. I’m not familiar with a tool that does exactly what you are looking for, but Topsy’s advanced search does some of it: http://topsy.com/advanced-search. Another option is http://www.whatthetrend.com/. Other hashtag sites like http://hashtags.org/ and http://twubs.com/ are more for real-time monitoring as opposed to historical analysis. TweetEffect is no longer in effect, unfortunately. 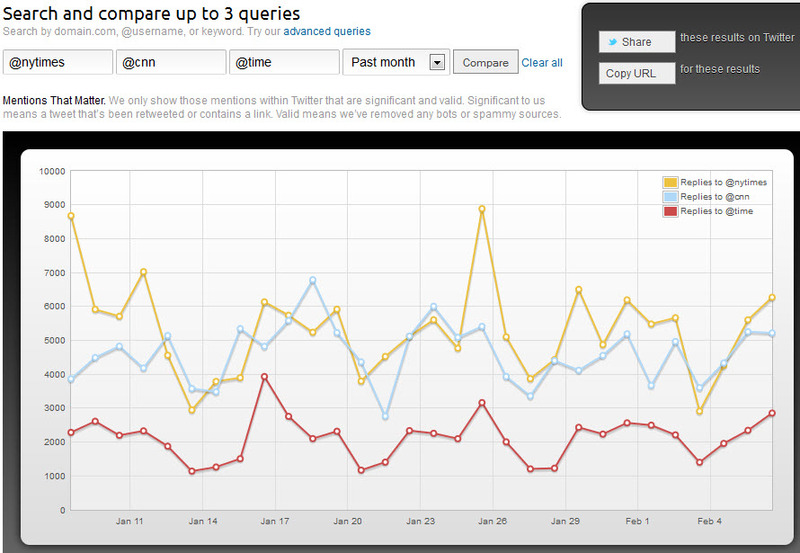 When you click on their link, they inform you that changes in Twitter’s API have stopped the data analysis. Do you have any other suggestions on a similar program? Fatemeh – thanks for the heads up on TweetEffect, that’s too bad. 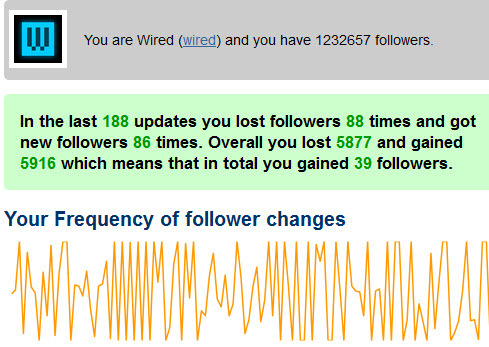 Followerwonk provides similar data on gained and lost followers. We developed Tweet Category for iPad http://www.TweetCategory.com that sorts the tweets of a hashtag into Categories. Feel free to contact me for more info. Thanks Javier, I’ll check it out. Great info! Tweet level is a great addition to my twitter tools. I’m always looking to add to my arsenal of free twitter analytic tools. Thanks to this piece, I found Edelman’s ‘TweetLevel’. I’m on my way to an in-depth research/dissertation, using twitter analytics! One more tool http://www.happygrumpy.com — sentiment/mood analysis tool, that instantly gives you the “happygrumpy” rating for an account and a range of other statistics, showing how they change over time.